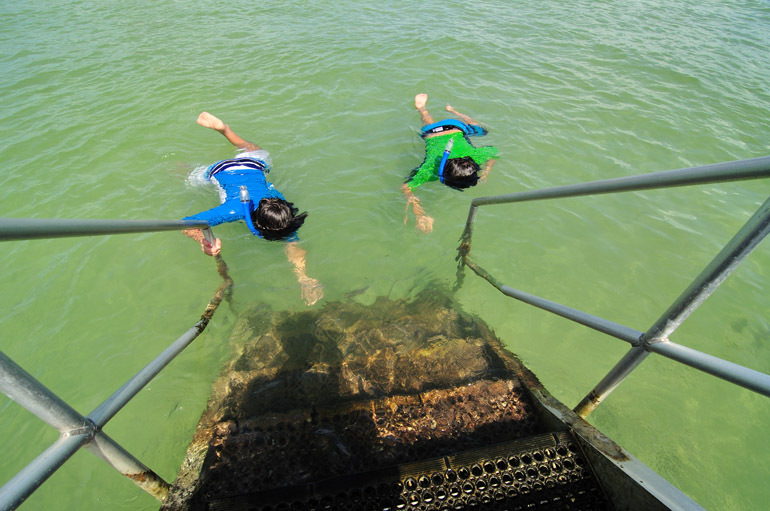 Two young snorkelers inspect the bottom of a stairway off a pier at Smathers Beach in Key West. This is where I later snapped a few underwater shots. I am also in this photo. 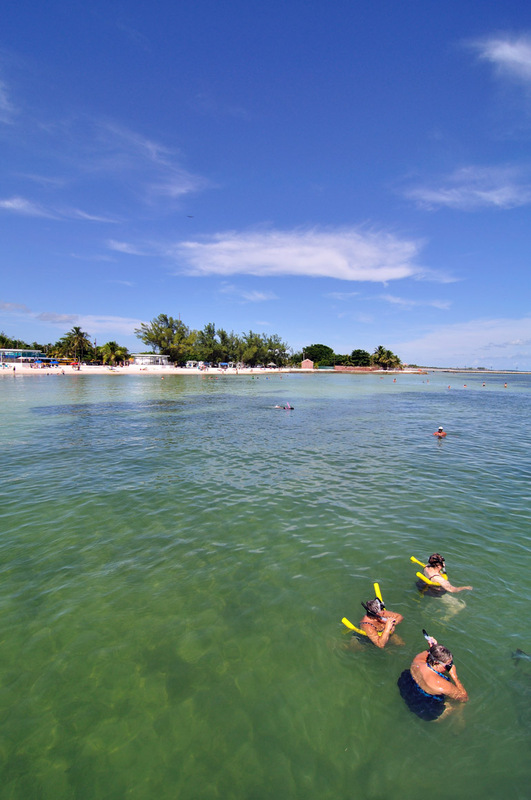 Snorkeling is a popular activity for tourists in much of the Florida Keys. At Smathers Beach, rentals are available, and these three women were complaining that they couldn't see anything spectacular, thus wanting their money back. That's why I don't bother spending the money. 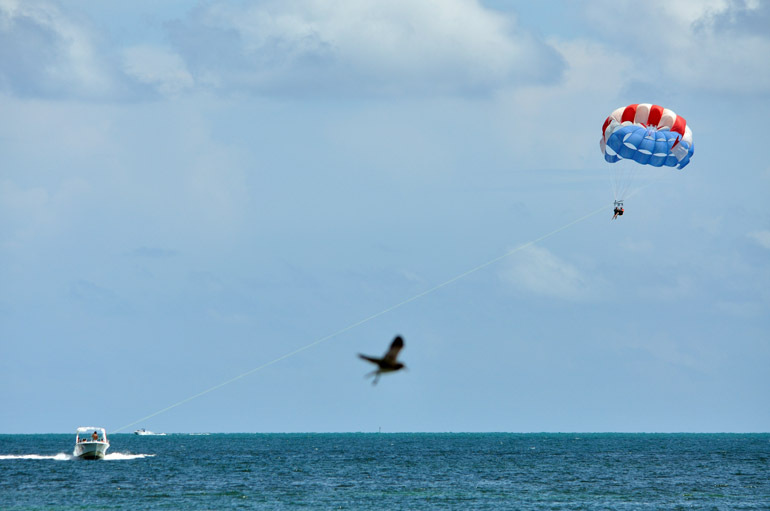 Tourists also spend their dollar bills on parasailing. 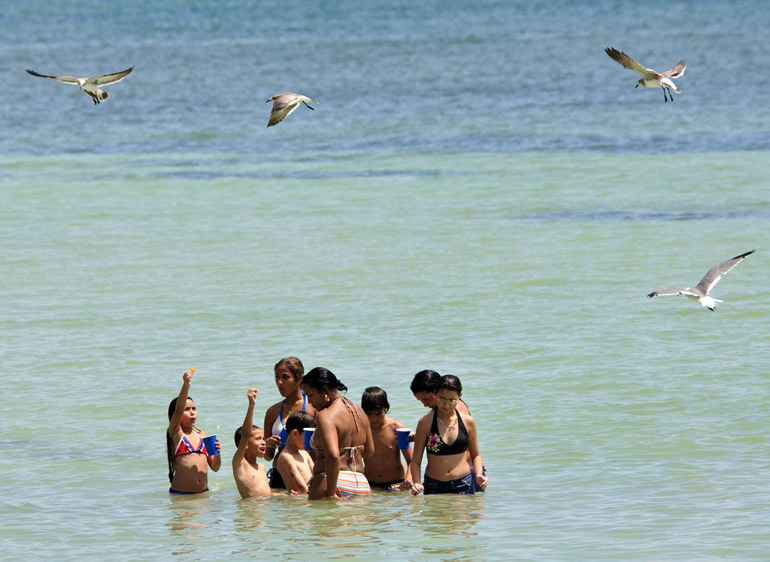 Some people are smart enough, though, to take advantage of cheap fun, such as feeding the seagulls.